CLASSIC DESIGNS WITH A MODERN TOUCH. The Foggcraft is our custom line of aluminum boats. Gone are the days when you must compromise strength and ease of maintenance for style and handling. Foggcraft has a beautiful sweeping sheer that invokes a feeling of times gone by. The Foggcraft is a sleek agile boat that can conquer seas that other boats wouldn't dream of. On top of that we construct all Foggcrafts with 1/4" 5086 marine grade welded aluminum. She is all class, outfitted with beautiful mahogany seats and trim she is the perfect boat to explore the bay on. A Large back bench seat can seat four passengers comfortably or provide room enough to lay down and relax. With reversed helm seats there is more than enough seating for six full sized passengers. Gizzy, as with all our vessels, is equipped with a head (toilet) for passengers to utilize on their Casco Bay adventure. Gizzy is also equipped with a Bluetooth sound system. The Silver Lady is equipped with plenty of indoor and outdoor seating. Sporting a fully enclosed cabin she is ideal even when the weather is not. The cabin is heated too so even on the coldest of days it is dry and comfortable inside. The aft cockpit is open air and spacious. Plenty of room for relaxing and enjoying the beautiful ocean breeze. Silver Lady, as with all our vessels, is equipped with a head (toilet) for passengers to utilize on their Casco Bay adventure. Silver Lady is also equipped with a Bluetooth sound system. The Martine is our other full cabin boat. Plenty of indoor seating, up to six passengers. Equipped with a cabin heater keeping all guest warm and comfortable. The aft cockpit is equipped with a teak bench seat. The Martine is our little red taxi that could. 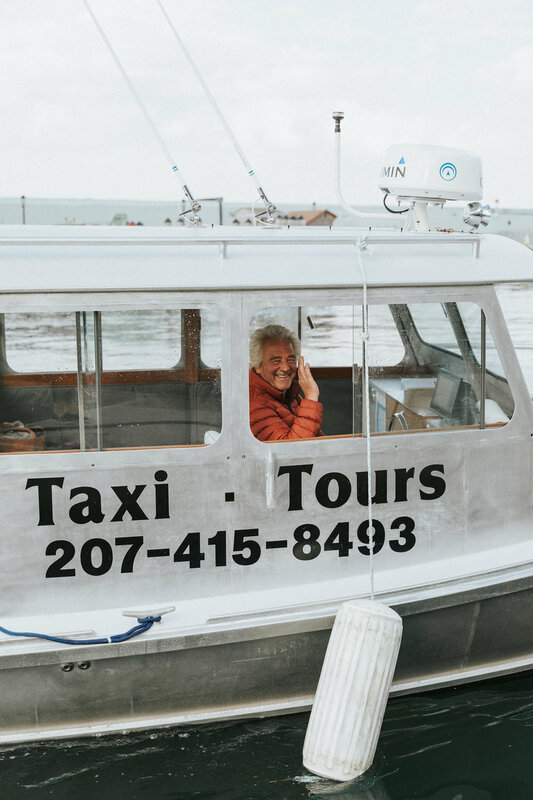 Martine, as with all our vessels, is equipped with a head (toilet) for passengers to utilize on their Casco Bay adventure. Martine is also equipped with a Bluetooth sound system. 20 passengers and under is $250/hr with a two hour minimum.